For more than five years, I have been studying Chinese both in China and abroad, and during this time, I have made many mistakes and have seen other students make them as well. 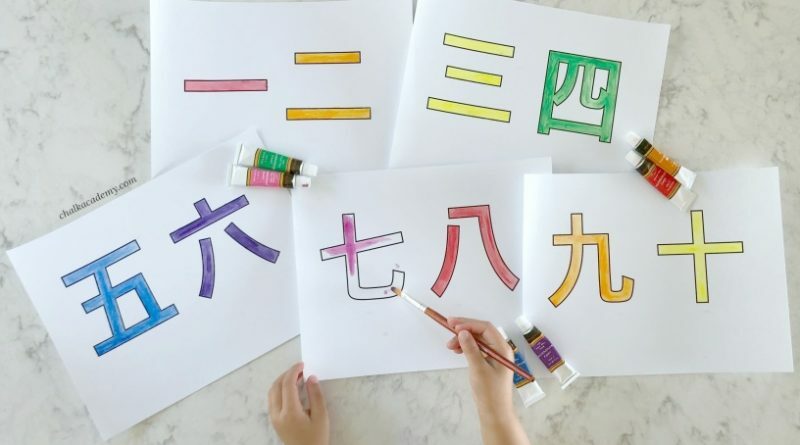 In this article, I have tried to share my experience of studying Chinese and to summarize five of the most common mistakes that students tend to make. Being anxious to be able to communicate quickly is the reason why many Mandarin students put studying characters aside. Focusing on learning vocabulary exclusively through a phonetic system (pinyin) is by far the most common error. There are even “revolutionary” courses that suggest you follow this option. However, if your goal is to learn Mandarin and not to learn four survival sentences, this decision can come at a great cost. As opposed to Western languages, in Chinese, words are relatively short, with normally 1 or 2 syllables, and the number of possible sound combinations is relatively small (there only exist a few more than 400 syllables). In addition to this is the fact that the majority of students have problems telling apart certain sounds and the tones, which means that many of them quickly feel that all the words are the same. The problem is the way in which adults learn. As opposed to children, who learn mainly through imitation (as their logic is not yet developed), adults learn through association; that is, by using logic, and the logic of Chinese is based on characters. Characters are the basic unit of the language (and not sound) and the formation of new concepts is made through the union of various characters. That means that if you ignore the basic unit of the language, it is impossible to learn via association and you are limited to learning via imitation, which is very difficult for adults. All the things I have said up until now mean something very simple: while people who don’t study characters develop much more quickly initially due to putting aside one of the most difficult aspects, their learning comes to a standstill very quickly as the acquisition of new vocabulary gets harder and harder, as they are not capable of understanding the “logic” of the language. On the other hand, people who include the study of Chinese characters will learn very slowly at first (which may even be frustrating), but their learning curve gets quicker and quicker and learning new vocabulary becomes easier and easier. An urban legend says that if you learn the most common 3,000 characters, you will be able to read 99% of Chinese texts. While the 3,000 most frequent characters cover 99% of texts in Chinese, knowing them does not mean that you are capable of understanding a text. In Chinese, the majority of words are made through the union of at least two characters. While individual characters have meaning on their own, when they are combined to form a word, its meaning, although usually related, is not always easy to guess. Clearly, learning the most common 3,000 characters, while an excellent memory exercise, is a completely inefficient way of learning Chinese, as it does not allow you to read or write, and is extremely detrimental to your motivation. Learning any language requires continued motivation over a very large period of time, which is even truer for Mandarin. Learning Mandarin requires a lot of effort continuously and on many occasions, especially at the beginning, and the results are not in proportion to the effort made. Many people decide to study Chinese as a “trend” due to the fact that the economic strength of the country has put it on the map. Many of these people decide to abandon their project after a few months mainly because they never had the adequate motivation to do it. In fact, this type of student profile is the main target of “miracle” courses to learn Chinese in a few months. The strategy of these courses is very simple. They use methods, which although inadequate, help you to formulate your first sentences without much effort. This way, students give the course good reviews. Afterwards, students lose their motivation bit by bit because they stop learning and finally, leave the course without having learned anything, thinking that it is because they don’t have the ability to do so. Learning Mandarin is much more than learning a language; it is the door to understanding a thousand-year-old culture that at times is not as different as we think. Making studying a habit, choosing the adequate learning resources and summoning up the right motivation will be your best allies in overcoming the numerous obstacles and frustrating things you are going to encounter. Many people who speak various Western language mistakenly believe that they can apply their experience with these languages to learn Mandarin. While someone who speaks multiple languages has an advantage compared with a monolingual person, it is also true that multilingual people may have more possibilities for making mistakes during the learning process. The problem is that Western languages, while they are derived from different branches, all have common roots and have influenced each other over a long period of time. This makes it so that the grammatical structure and logic of languages are very similar. The problem with Chinese is that it is a language which is very different from Western languages and which can’t be approached with the same logic used to study languages which are much closer to yours. I have seen many students who speak multiple languages become confused by applying their logic to Chinese, and over time, they end up becoming frustrated and saying that Chinese has no logic and is impossible to learn. Chinese has its own logic; it is just very different form that of your language, so the best thing is to forget everything you know about learning languages and try to completely immerse yourself in a different way of communicating. I this sense, if you are not in China the best way to immerse in the language is to start listening Chinese music, watching Chinese TV Shows and films and take some Chinese classes online. In Mandarin, as I described in the previous points, good pronunciation is essential for being understood by your listener. However, giving it too much importance can be a mistake. In my experience living with expats in China, I have often seen people talking eternally in an attempt to pronounce each tone perfectly and to place each word in its place according to Chinese grammar. The result is often that the listener doesn’t understand anything. In Chinese, the context in which a word is used is very important to be able to understand its meaning. When speech is not fluent, in addition to boring your listener, what happens is that what you are saying loses its context and as a result, the listener doesn’t understand anything. As a non-native speaker, you can’t expect your pronunciation to be perfect, and it is hard to not make grammar mistakes. My advice is that you forget the perfection that you will never be able to achieve and that you concentrate on the fluency of your speech, as the results will surely be much better. The post is written by Sborto Zhou from Sapore di Cina. Thanks to Sborto Zhou for taking the time to share his experience of studying Chinese and the suggestions for other Chinese learners. Sborto Zhou is a Spanish researcher who lived and worked in China nearly five years. Today he alternates his career with his passion for writing about the Middle Kingdom on the web Sapore di Cina. Now he also collaborates in a project aimed to bring the Chinese culture, gastronomy, and language to the city of Barcelona.